Microchipping your pet is the best way to make sure he finds his way home again should he become lost. Unlike a collar with tags, a microchip is a permanent form of identification that cannot be removed or lost. 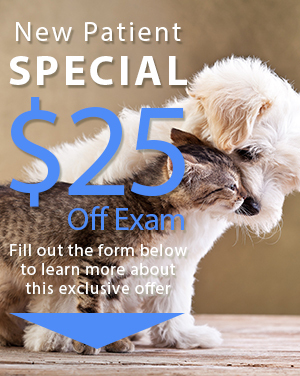 Our Oakland Park veterinarian has put together these FAQs to address some commonly asked questions about pet microchipping, in the hopes that more clients will choose this valuable procedure to protect their pets. How Does the Pet Microchip Work? The pet microchip is an RFID chip. It does not require a power source and is not a tracking device. When a shelter worker or vet passes a microchip scanner above the microchip, it is able to pull enough power from the scanner itself to broadcast an ID number. Unless activated by a scanner, the microchip remains inert. Since the pet microchip needs no moving parts or power source, it can last for the duration of your pet's life. Rarely, microchips can fail. 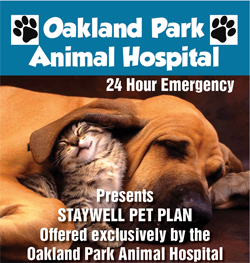 Have our Oakland Park vet scan your pet's microchip during his regular wellness visits to make sure it is still functioning. How Can the Pet Microchip Reunite Me with My Lost Pet? When a lost pet is found and brought into a shelter or vet's office, a vet or shelter worker will scan the pet for a microchip. If a microchip ID number is found, the vet or shelter worker will check that number against a database that lists the names and contact information of registered pet owners. Once your pet is microchipped, it is very important that you call the associated pet recovery service and register your name and contact information. If you move, contact the pet recovery service and update your information. Without correct owner information, the pet recovery service cannot help you. Will the Pet Microchip Really Make a Difference If My Pet Is Lost? Yes! In one study of over 7,700 animals brought to shelters, more than 52 percent of microchipped dogs were reunited with their owners, compared to only about 21 percent of unmicrochipped dogs. More than 38 percent of microchipped cats were reunited with their owners, compared to less than two percent of unmicrochipped cats. When microchipped pets were not reunited with their owners, it was usually because the pet recovery service has incomplete or inaccurate owner information on file. If My Pet Is Microchipped, Does He Still Need Collar ID Tags? We here at Oakland Park Animal Hospital recommend that even microchipped pets wear a collar with ID and rabies tags. Rabies vaccinations are required by law in most places, and putting your pet's tag on his collar allows anyone who might be concerned to quickly see that he has been vaccinated. Collar ID tags are also much easier to read than microchips, since they do not require a microchip scanner. If someone finds your lost pet, an ID tag could save that person a trip to the shelter or vet clinic.